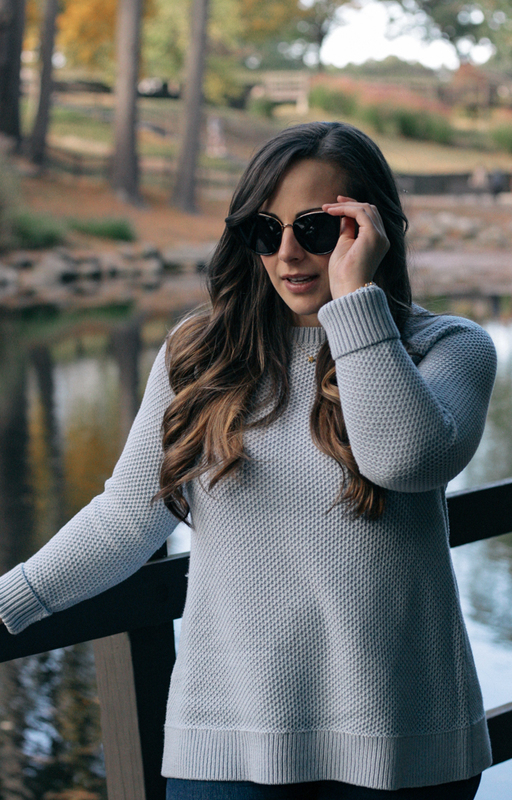 It seems as if we are finally done with the 80 degree days for the year, so it's officially sweater weather! 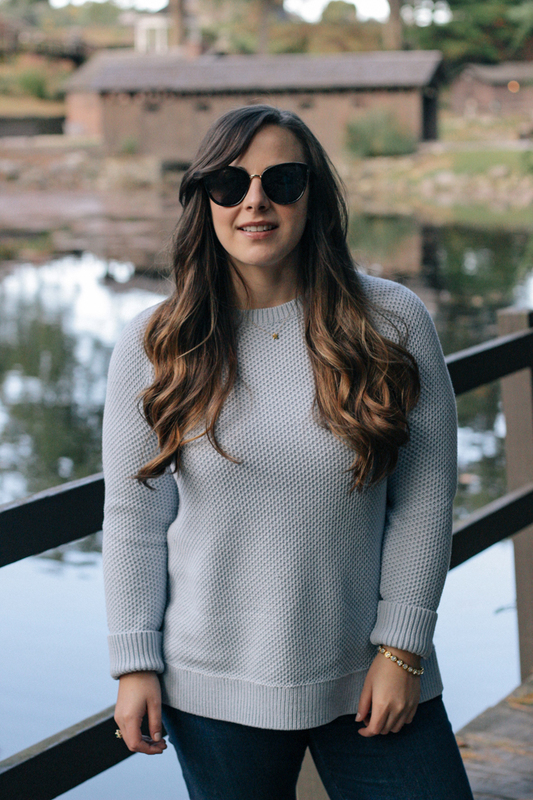 I always size up at least one size for sweaters because I feel that the roomier they are, the cozier. Anyone else? 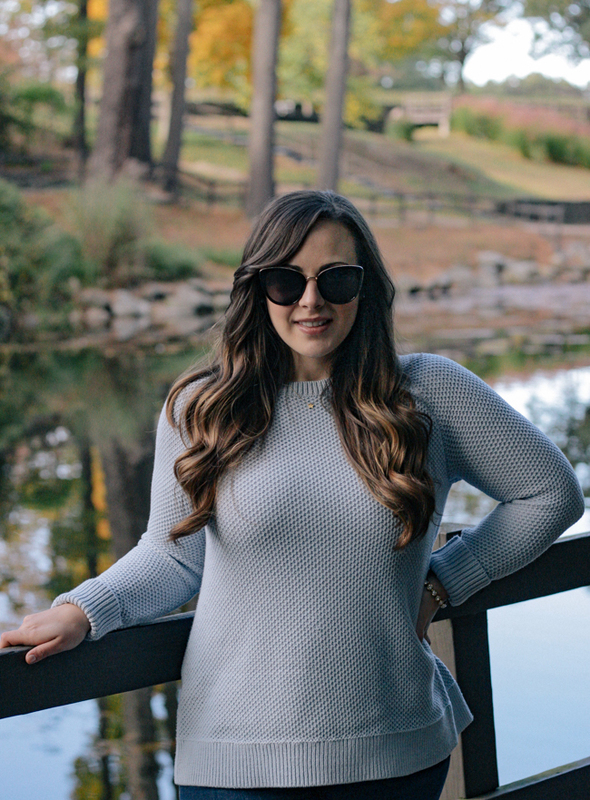 I also love to add sweaters with special details like crystals or ruffles to my wardrobe since they are such a staple in the fall and winter months. 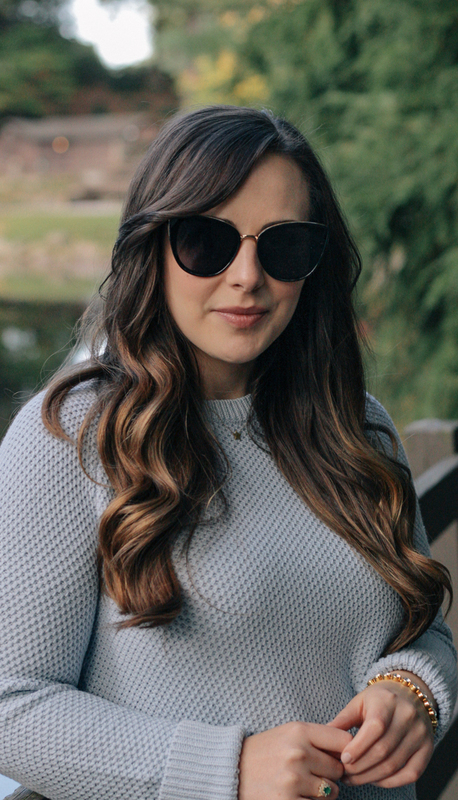 In addition to the one I'm wearing, I've shared some of the other sweaters that I'm loving lately below. It is for sure sweater weather! I love the one you are wearing. Will have to check out Loft! LOVE that sweater - looks so pretty and cozy! Thanks for sharing! Thank you so much Emily! Hope you stop by again soon! Yay for sweater weather! Love this one on you. The sweater is stunning and it looks so cozy :) lovely bracelet too! your hair is so gorgeous! super cute fall style! That's such a chic sweater you got there dear. 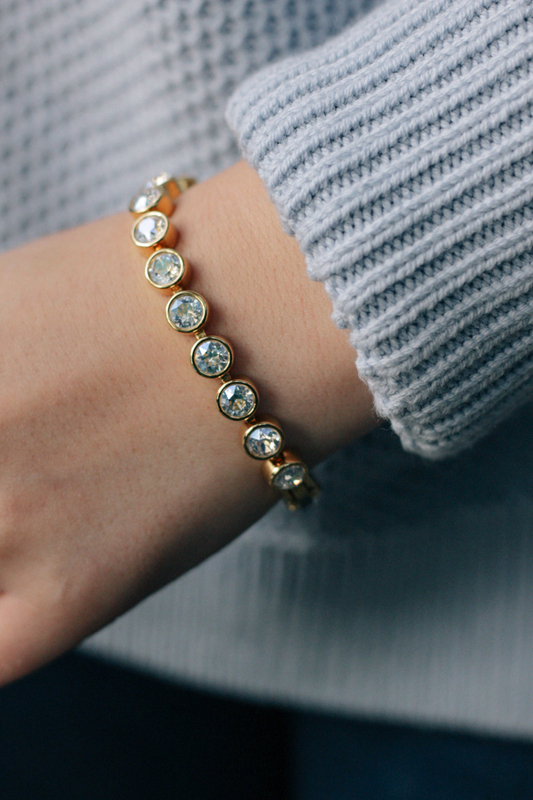 Love the classic elegant style, simple but so pretty on you!